A second top investment promotion agency award demonstrates Malaysia’s expertise in attracting new investment and helping existing projects expand. Honeywell has had operations in Malaysia since 1985 and recently made its Kuala Lumpur location a Principal Hub for Southeast Asia. What makes a national investment promotion agency a cut above the rest — even award-winning? Investors in Malaysia point to “a strong partnership” and “continuous support, advice and incentives” as hallmarks of their experiences working with the Malaysian Investment Development Authority (MIDA), the country’s national-level economic development agency for nearly 50 years. 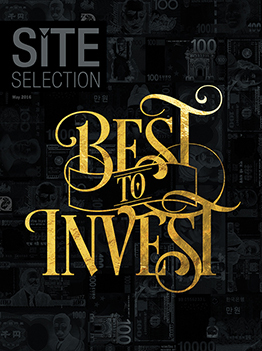 MIDA is a national Site Selection Top Investment Promotion Agency of 2016 (see page 78) It won the same award in 2015. MIDA’s Infrastructure & Industry Support Division provides “handholding” and “problem solving” services to investors. Through the handholding service, investors are assisted in obtaining all necessary approvals for projects until they are operational. The approvals are at the level of state governments, local authorities and federal ministries, departments and agencies. MIDA also identifies problems encountered by new and existing companies after they have started production — such as issues on electricity, gas supply, import of raw materials and compliance with the Department of Environment regulations. MIDA’s One Stop Centre, based at MIDA's Kuala Lumpur headquarters, is staffed by senior representatives from key government agencies, including the Department of Labour, the Immigration Department, Royal Malaysian Customs, Department of Environment (DOE), Telekom Malaysia Berhad and Tenaga Nasional (Electricity Board). These officers stand ready to advise investors on government policies and procedures within their respective jurisdictions. Investors enjoy convenient access to the agencies and authorities that are relevant to the implementation of their projects in the country. MIDA’s global network of 23 overseas offices covering the Americas (6 offices), Europe (6 offices), Asia (9 offices), the Middle East (1 office) and Oceania (1 office) directly engage with potential and existing foreign investors. MIDA officers stationed at its 12 regional offices throughout the country meet investors on the ground level to assist them with the implementation and operation of their projects. The Infrastructure & Industry Support Division and regional offices work hand-in-hand on the site selection process and facilitate projects by getting the necessary licence or approval at the state or municipality level. This ensures that the projects can be implemented within the projected timeline. To date, Malaysia has attracted over 8,000 companies, including multinational corporations from more than 40 countries that have made Malaysia their offshore location for manufacturing and related services operations. In 2015, Malaysia secured approved investment of US$43.5 billion despite the global economic headwinds arising from the economic slowdown in the US and China, as well as the global oil price scenario. Honeywell has had aerospace and other operations in Malaysia since 1985. It currently employs 1,500 in six cities, including Kuala Lumpur, where the company is a recent addition to Malaysia’s Principal Hub initiative so that it can better serve important clients across the Southeast Asia region. “Malaysia is a fast-paced and dynamic country and one of Honeywell’s strategic and priority High Growth Region markets committed to economic growth and improving the standard of living for its talented and diverse population,” says Briand Greer, President of Honeywell Southeast Asia. “Malaysia’s rapid urbanization, growing affluence of its citizens, demand for energy and resources and investments in infrastructure and national projects offer compelling opportunities for technology-driven multinational companies like Honeywell. Spirit AeroSystems supplies Airbus and Boeing from a facility in Subang, near Kuala Lumpur. Spirit AeroSystems builds aerostructure assemblies for Boeing and Airbus at its 300,000-sq.-ft. facility in Subang, adjacent to Kuala Lumpur’s original international airport. “Asia is a strategic region in Spirit’s supply chain development, and Malaysia is part of an aerospace industry growth zone,” says Scott McLarty, Vice President, Spirit AeroSystems Malaysia Sdn Bhd. “Asian regional economic growth and competitive pricing advantages are critical for Spirit’s further growth. Malaysia has established itself as an aerospace manufacturing center, and the country has shown its commitment to the industry through active promotion and support.